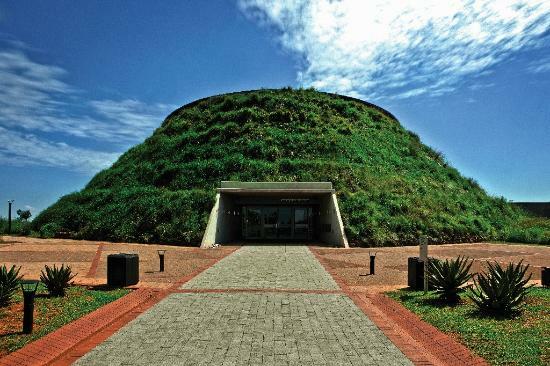 Maropeng is the official visitor centre of the Cradle of Humankind) and the Sterkfontein Caves. Maropeng means “returning to the place of origin” in Setswana, the main indigenous language in this area of South Africa. The Cradle of Humanking World Heritage Site is an easy drive of about an hour from Johannesburg or Pretoria. Our ancestors have lived in this area for more than 3-million years. By coming here, you are coming to the birthplace of humanity. Welcome home!